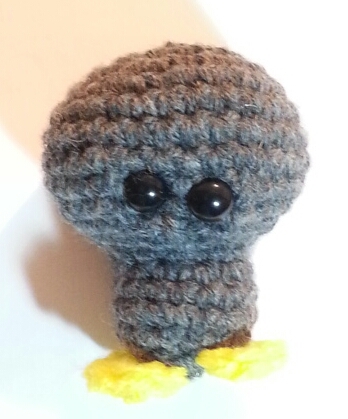 Final tweaks made and Darryl is finally ready to be posted! 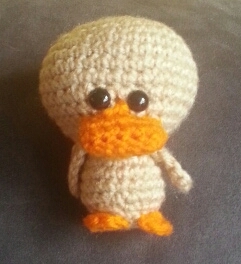 Darryl is the second duck from Duck Evolution and works up in an hour or less. 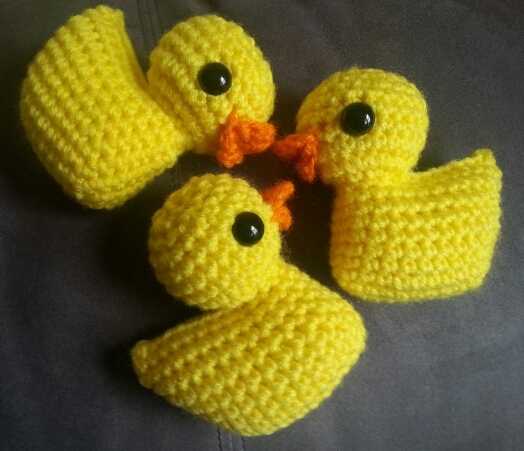 I’m making a few more this morning getting ready to release them at the Rubber Duck Derby in Tarrytown, NY today as part of The Little Yellow Duck Project. 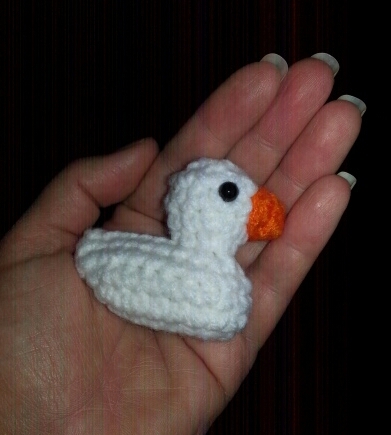 Seems like the perfect event to be releasing crocheted ducks into the wild. Add plastic safety eyes 3 rows down from the top, 6SC apart. 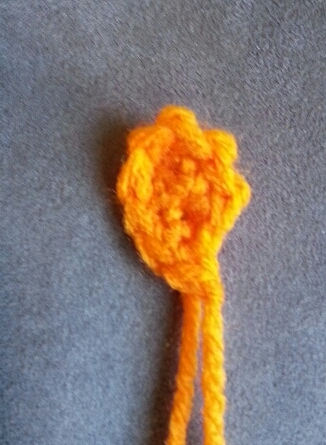 Weave tail through front loop of Round 17 and pull tight. Tie knot and pull into head. P.S. Keep an eye out for more sizes of Darryl still being developed. 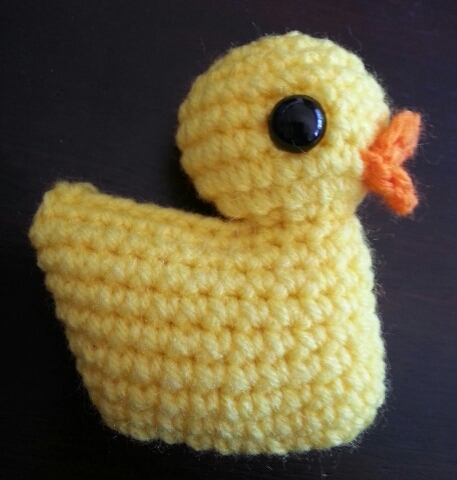 By day I’m a Data Analyst, so naturally I was wondering which duck pattern had resulted in the highest percentage of reports on The Little Yellow Duck Project website. In the below chart of ducks released vs ducks reported, you’ll see the recently released pattern Other Brother Darryl has proven to be the most reported both by percentage and quantity. 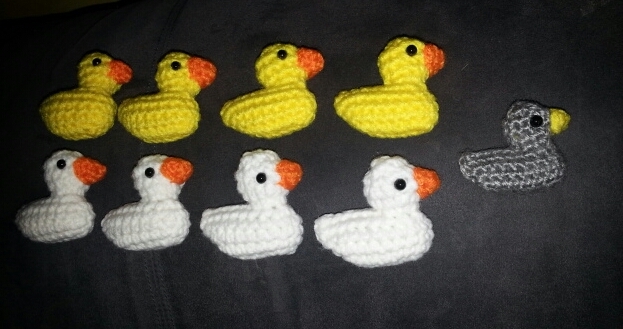 Duck patterns where I only made and released 1 or 2 are not included in the chart. 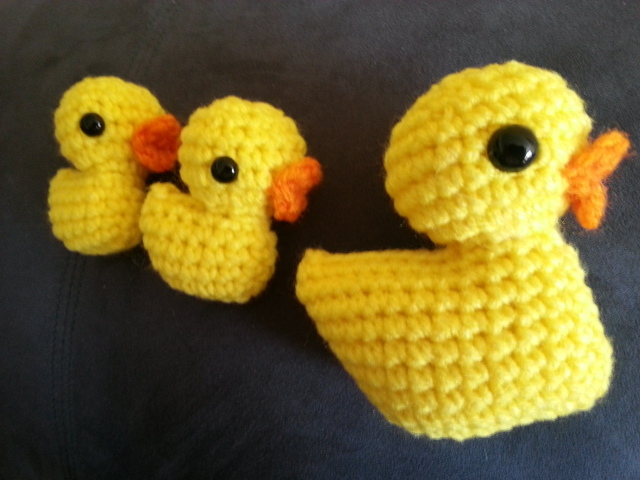 I would note that by the time I started making Other Brother Darryls I had become much more strategic about where I left ducks. Also, all of Other Brother Darryl’s tags included the handwritten message Where did you find me? 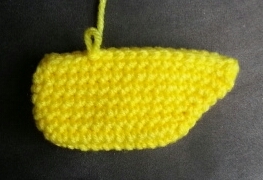 Add me to the map at www.TheLittleYellowDuckProject.org on the back of the tag. To be fair to Love Bug who sits at the bottom of the list with none reported was handed out at the Rehab/Nursing/Hospice facility my aunt was staying at where internet access would have been more limited and patients may have had a difficult time even reading the tag. I have 7 Lil Other Brothers ready to go, but they have not been released yet. It will be interesting to see if they report as well as Other Brother Darryl or if Other Brother Darryl remains on top. 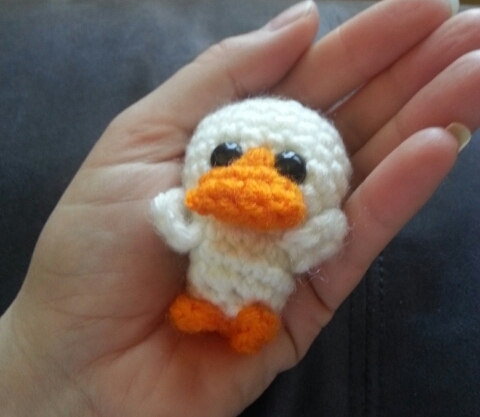 While in the middle of little yellow duck mass production yesterday, I couldn’t resist temptation and created a half size of Other Brother Darryl. The pattern worked out just as imagined and Lil Other Brother was born. 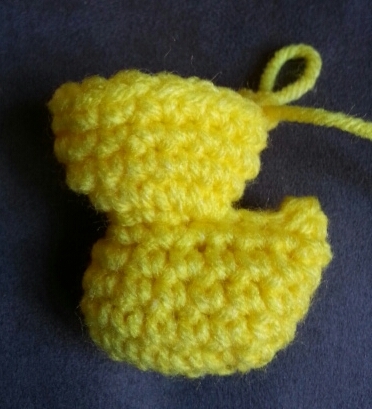 This one works up in a half hour or less so you can make even more for The Little Yellow Duck Project. 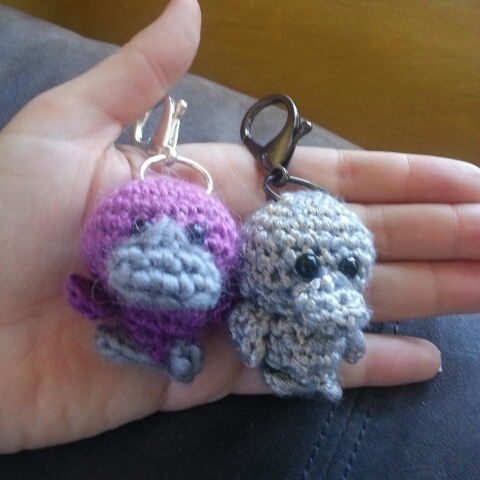 Because its smaller, it’s also a great size for a bag clip or keychain. 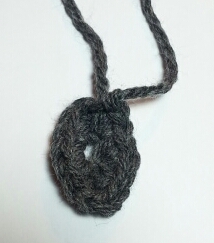 Weave tail through front loop of Round 19 and pull tight. Tie knot and pull into head. 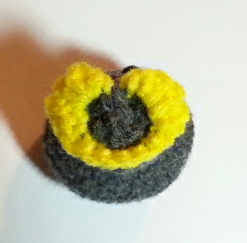 Sew beak onto head onto bottom row of eyes. You’re done… now go make some more! 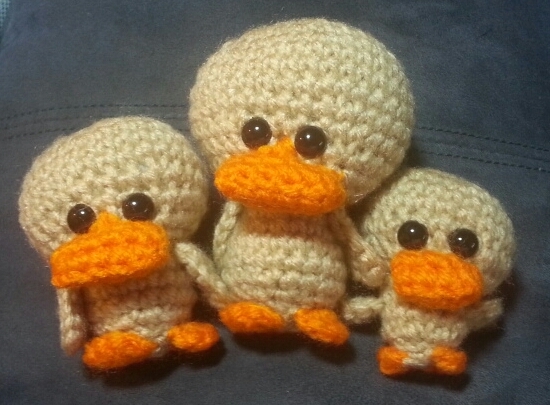 To celebrate Little Yellow Duck Day (which was officially yesterday), I am finally posting the patterns for Larry, Darryl, and Other Brother Darryl. 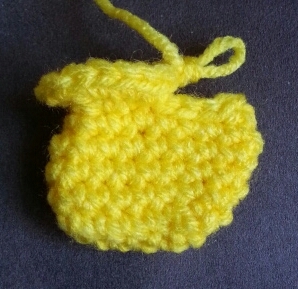 They all work up in an hour or less and are great for The Little Yellow Duck Project. Hopefully you’ll make a bunch and spread them all over the world. Add plastic safety eyes 4 rows down from the top, 8SC apart. Sew beak onto head on row below eyes. I just got back from the Garner Arts Festival in Garnerville, NY and my feet are still wet, as they may be for the next few days, but it was a lot of fun. I went to see the community tapestry that Sara Divi put together. I had contributed 6 pieces for it and loved seeing the final product especially how everyone’s pieces blended together in a sea of red, orange, and yellow. With all the contributions she got it was huge! 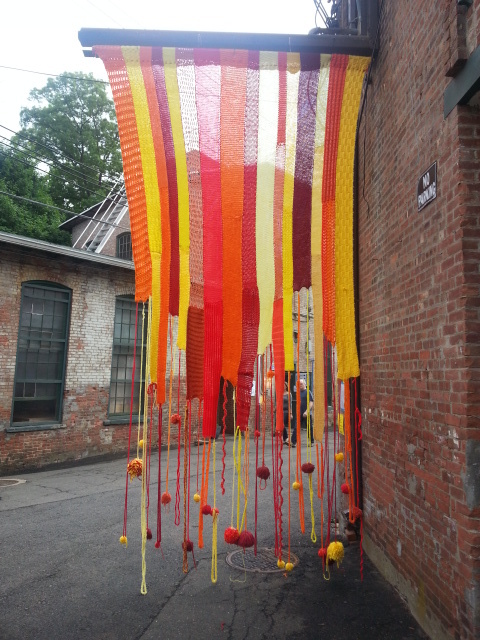 Sara was also showing her amazing installation We Should Have Just Let Go which is a huge knit maze made from the yarn of unraveled old sweaters. Watching dancers flow through it was very cool. 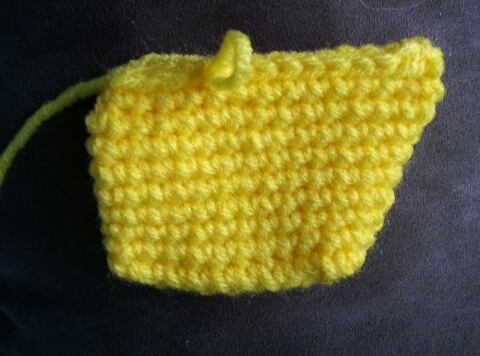 My son loved running around in it and that we could see each other through it since it was knit on such large needles. Her maze was at the center of a room filled with textile goodness including the largest knitting needles I think I will ever see. My father said they were 115’s!!! It looked like scarves or sweater arms were the single strands of yarn used with them. 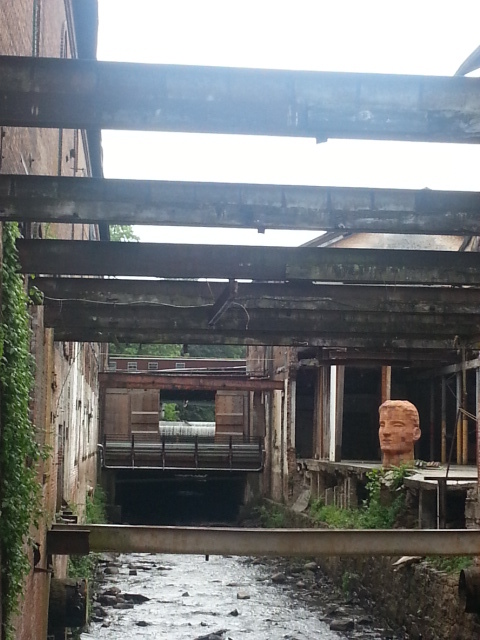 With all the artists showing, I kept being drawn back to a sculpture that could be seen between a few of the buildings next to the flowing water. The waterfall background added drama to the striking piece. Since everything was so huge, when a storm came through, it too was huge. Buckets of rain dropped down from the sky while I was waiting for my food at a food truck with a LONG wait. I got soaked. It may still be a while before I dry off. 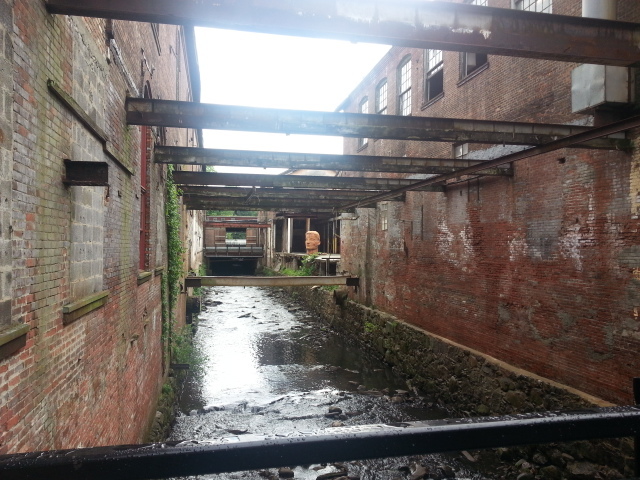 Even with squishy wet socks and sneakers and jeans heavy with water stuck to my legs, it was a fun Sunday. 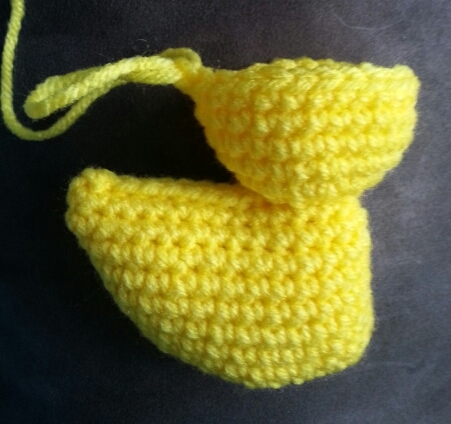 Ugly – a cute little duck was created last year for The Little Yellow Duck Project. It works up in a little over an hour. 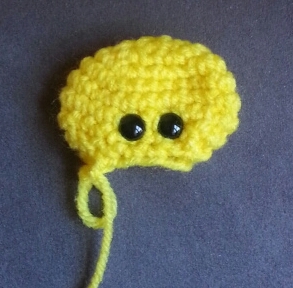 I’ve made the Ugly pattern in 3 sizes. 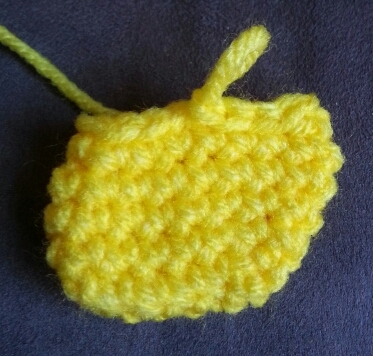 This is the largest size, but the example pictures used in the pattern are from the Lil Ugly. 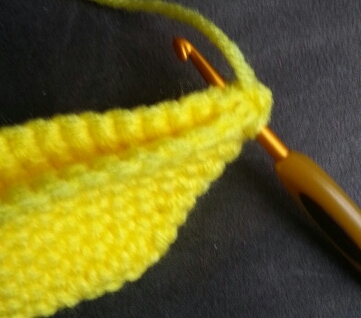 A little worsted weight yarn in 2 colors. 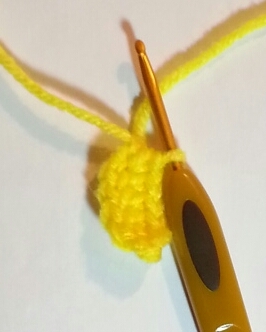 If you use a thinner weight yarn use a C hook or smaller. 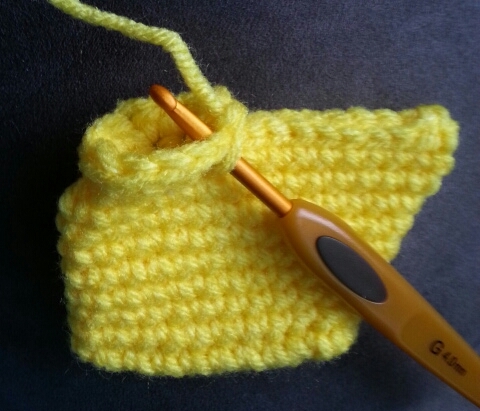 If you use a bulky or super bulky weight yarn, use a J hook. 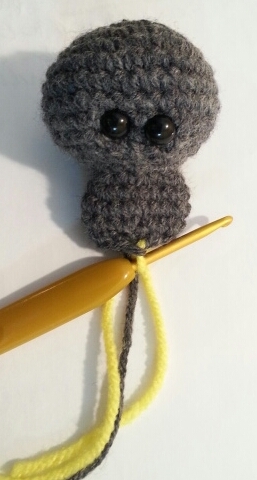 The Ugly is cute in all weights of yarn. 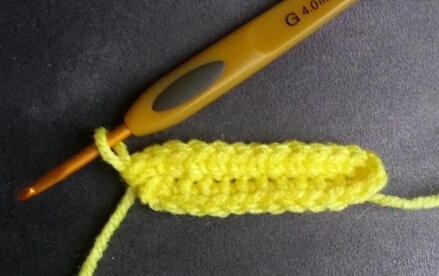 C or E crochet hook (2.5mm or 3.5mm). 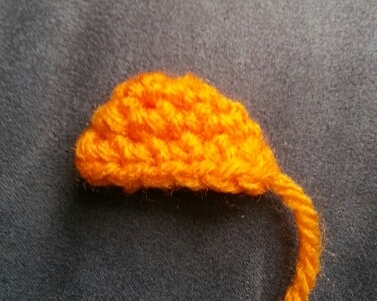 The smaller hook will make a smaller Ugly. Flatten the head. 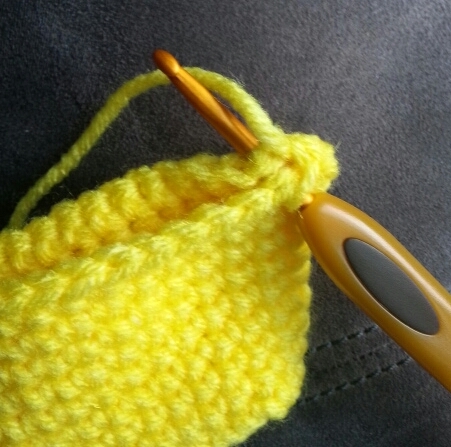 Your working yarn will be on the left towards the front. Add plastic safety eyes between rows 10 and 10 11 sc apart. 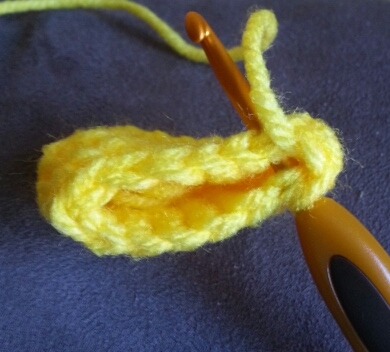 Pull the loose end in contrasting color where the feet ended into the body and tie a knot with the other end of the yarn from the feet. Pull it into the body. 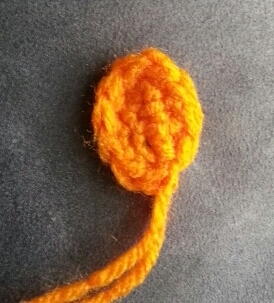 Weave tail from main color through final round and pull tight. Tie knot and pull into body. Sew beak onto head. 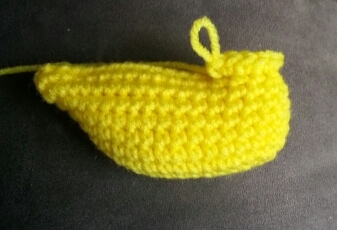 I like to use 3 or 4 longer stitches between the eyes when sewing on the beak. You will be working on both sides of the chain. 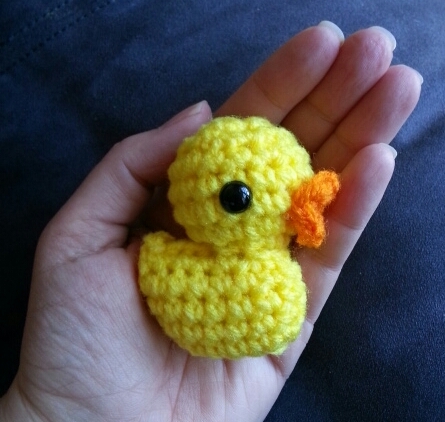 The Ultra Mini Ugly – a teeny tiny lil duck is the smallest size Ugly. 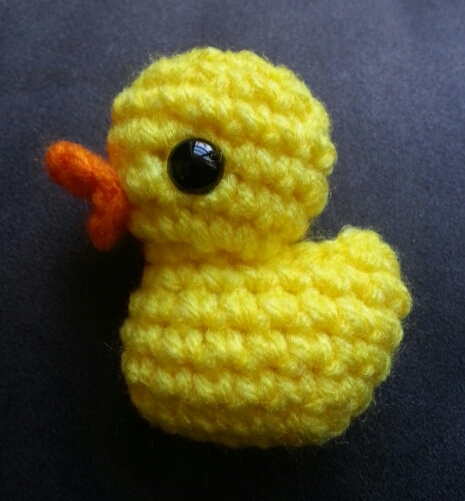 The little brother of A Lil Ugly, the Ultra Mini Ugly was also created for The Little Yellow Duck Project and works up in under an hour. I’m posting the Ugly patterns in three sizes as three separate patterns so that they are easier to read. A Lil Ugly (the next size up), was posted a few days ago. The full size Ugly pattern should be up in the next few days. 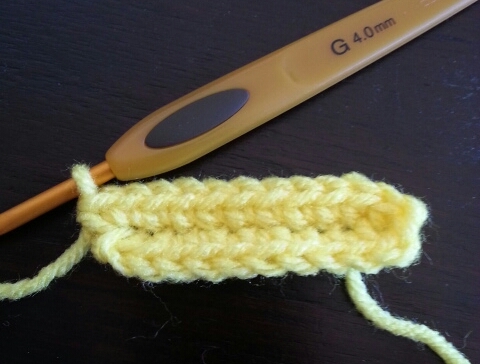 Exactly which worsted weight yarn you use makes a big difference in the final size. In the below picture of three different Ultra Mini Uglies, the one on the left is make in Red Heart Super Saver and came out the biggest. 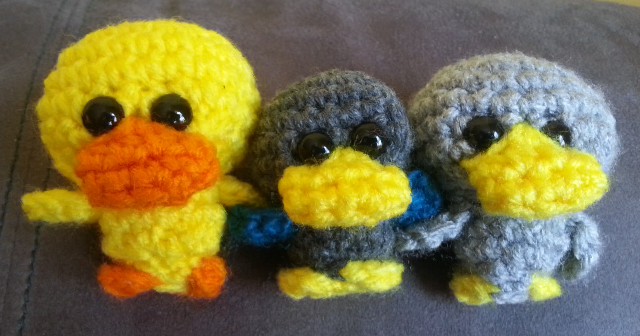 The other two use Red Heart Super Saver for the beak and feet only. 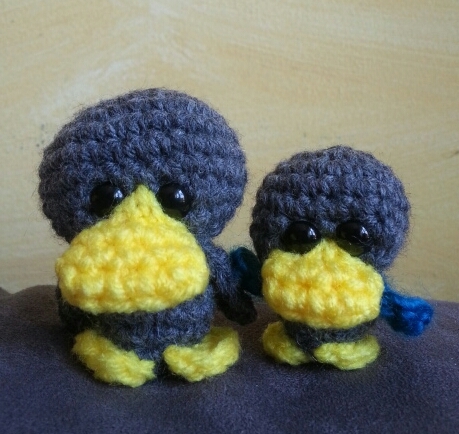 The two grey ducks were made from ends of balls of yarn I had lying around and I’m not sure what yarn they were made from, but they were worsted weight yarns. 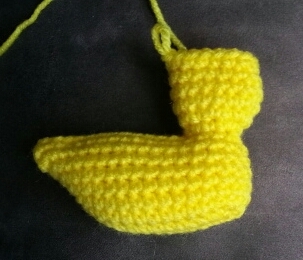 Even though they were made out of worsted weight yarn, some of the Ultra Mini Uglies I made were too small to be released in the wild with just a Little Yellow Duck tag attached so I added a jump ring and lobster claw which can be found in the jewelry findings section of a craft store. 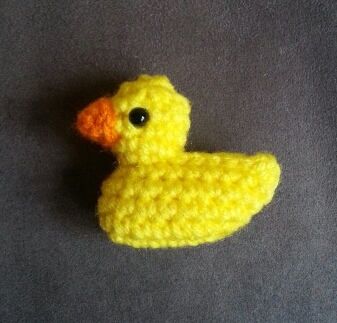 The metal of the ring was easy to bend open and closed with my bare hands and was not difficult to put on the duck. 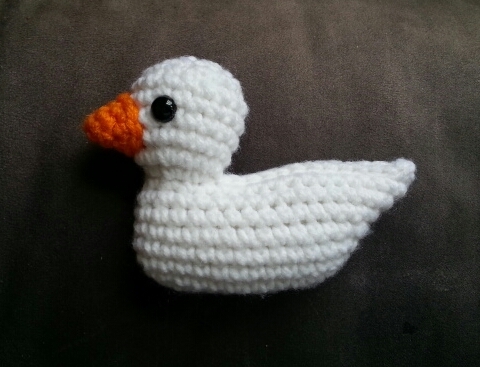 The clasps are fun because you can clip the duck onto gates or wire fences and you do not need to worry about the duck blowing away in the wind. I did add a warning to the LYD tags to remove the metal ring and clasp before giving to a child. 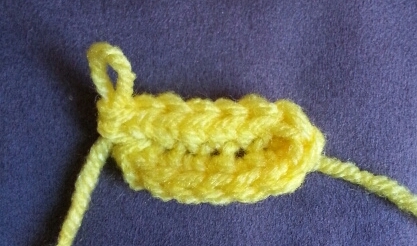 A little worsted weight yarn in 2 colors. Flatten the head. 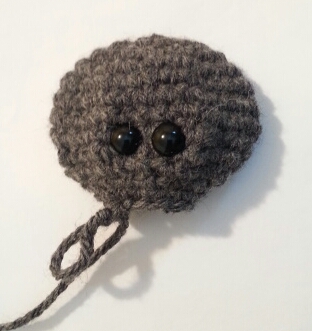 Your working yarn will be on the left towards the front. Add plastic safety eyes between rows 7 and 8 1 sc apart.